Dinner. We have a love-hate relationship. I love to eat it, I hate to cook it. By dinnertime, I’m tired. I’ve spent all day with kids, trying to juggle their wants and needs while trying to squeeze my to-do list in between caring for them. After school is a crazy, hectic and some times stressful time in our house. So I need easy and quick, no-fuss meals that taste good and fill my family up. 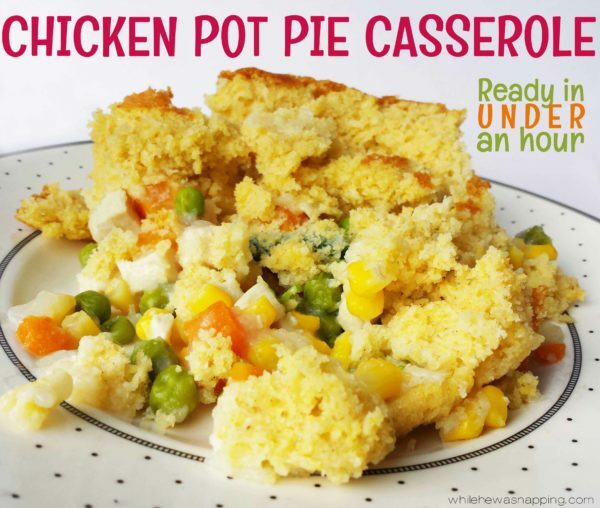 Hello, Chicken Pot Pie Casserole! – Preheat the oven to 400° F or whatever temperature your cornbread mix directions instruct. Lightly spray a 9-inch pie plate with no-stick spray. 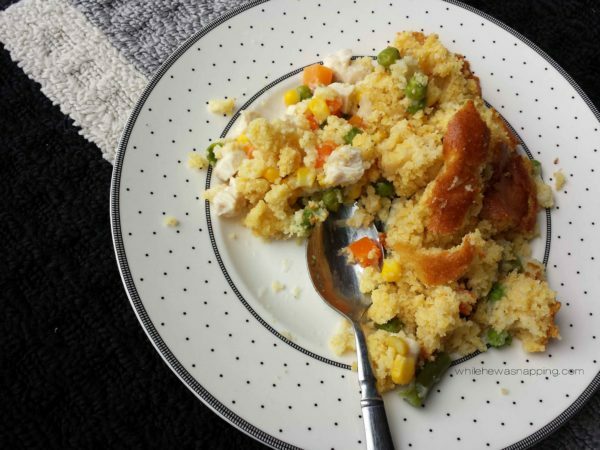 – Mix the eggs, milk and cornbread mix in a large bowl and set aside. – Mix together the frozen veggies and the soup (or the powdered mix and it’s required milk) until the veggies are even coated. – Pour the veggie mixture into the bottom of your pie plate. Pour the cornbread mixture over the top. 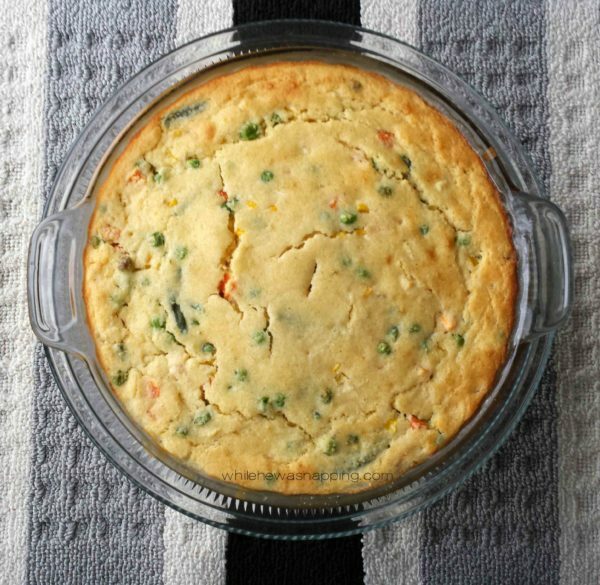 – Bake for approximately 35-45 minutes until a toothpick or knife inserted into the middle of the pie comes out with no cornbread batter on it. – Let stand for 10 minutes and serve. Enjoy. Store leftovers in an airtight container in the refrigerator for up to seven days.